The difficulty in writing a 2017 final blog is to avoid reviewing the year as that will occur with the Annual report. None the less I must cover some matters that have highlighted the year. The first is the great fishing year that we have had and are still having though the focus has moved from the river to the lake. The second is that Simon Stewart has completed his PhD thesis. Of immediate importance is the warning of the toxic algal bloom that has occurred in areas around the lake. TDC has put up signs at affected areas . The following notice was sent to me on 7th December by Rosanne Jollands, TDC counsellor. Dense mats of potentially toxic algal species have been found at multiple sites around Lake Taupō. It is a naturally occurring phenomenon in hot and sunny weather, as we have experienced over recent weeks, but they also depend on other factors such as the amount of available plant nutrients, phosphorus and nitrogen. 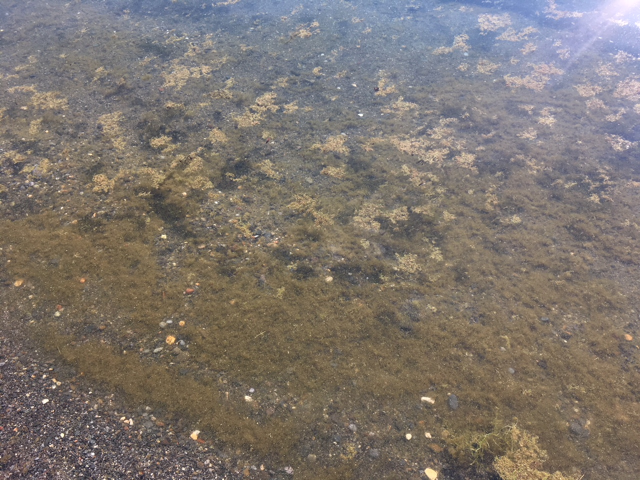 Overnight testing by NIWA has confirmed the presence of Phormidium algae at Five Mile Bay, Acacia Bay, the main lakefront in Taupo, Whakaipo Bay and Kinloch Beach. Due to weather conditions other areas may become affected and the public should be vigilant. 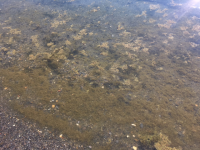 The Medical Officer of Health from Toi Te Ora Public Health has issued a health warning for the public to avoid paddling, wading, swimming or any recreational activity that may bring them into contact with the algae mats, which can accumulate on the shoreline. Pets and livestock should also be kept out of the water and off the shoreline. 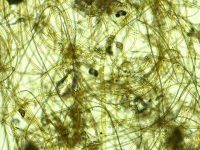 Symptoms of contacting the mats can include skin rashes, stomach upsets, and respiratory issues; ingesting algal material can cause neurological symptoms such as numbness and weakness, visual symptoms and in severe cases affect the ability to breathe. Taupō District Council has comprehensive monitoring in place to ensure the quality and safety of all drinking water at all times. Just before posting this blog I am advised that the notifications of toxic algal bloom have been withdrawn. It has been a great year for anglers. Good sized, good conditioned fish and plenty of fish. I saw a few 5lb Rainbows and a couple of browns bigger than 7lb and I heard of even bigger fish. The action has moved from the river to the lake but there are still good fish in the river and anglers trying to catch them. I have had excellent lake fishing. The Lake level remains high and it is important to know that the 200 meter mark is from the line between the poles currently out in the lake. The 200 meter zone is for fly fishing only. The road to the Blue Pool remains closed to anglers at this time. I had a pleasant chat with Simon Stewart this morning. Simon had at the end of November returned from a meeting of the Global Lake Ecological Observatory Network (gleon) held in New Paltz, New York state. His work is attracting attention amongst fresh water scientists. I asked Simon to be our guest speaker at or AGM probably in late April to which he has tentatively agreed. He is pleased to have completed his thesis and looks forward to enjoying a break with his family. The last LWAG meeting was held 18th November 2017 in Taupo. The information from the guest speaker, Dr Piet Verberg, Hamilton NIWA, gives a valuable insight into the mixing of Taupo water among other matters. I hope that you find the information valuable. Jane Penton, LWAG secretary makes extensive notes. I have copied her notes here. incoming longwave radiation etc. Frequency: per minute. lake. Monitoring data of last 20 yrs; Taupo lake surface and air temps average 2% difference. Importance re; energy flows. Wind speed and difference between temps air/water – c/f heat loss. and Tuwharetoa get a similar display. (small lake in Hamilton) warmed .5% per decade – similar to other lakes globally. surface. Less nutrients from deep water- more stratified. significantly-difference between top and bottom. Number of days > 0.3 degrees increased (doubled). Mixing period has doubled. Opposite effect to climate warming. sources, changes in weather patterns or wind speed, or changes in volume/temp of tributaries. speeds, however. Although in this area expected to decrease with climate change effects. geothermal vents release heat and dissolved solids. Annual means of monthly data at Taupo gates. very high) – most enter into deep water – could have warming effect on bottom waters. Effects? increased. Correlation between surface, bottom water- higher algal biomass. increased. Causes: Increased wind speed? Increased geothermal heat flux? Warmer river water? samples taken from deep buoy site. and low in ratio with Phos. More likely to be N limited C/F rest of world – NZ exceptional. and phos but used different measures. 1986 – a weak response to N and no response to phos evident. Lake Taupo. Study made over whole year. – N deficiency. Enrichment bioassays studied. Nutrient status indicators tested in lakes with different N:P ratios; 28 lakes f varying nutrient loadings. Indicators were consistent with whole lake responses to N and P loading. phosphate in 2011. (Pic shown). Experiment running since late 60’s i.e. for more than 40 yrs. showed that Phos more limiting and N less limiting. record of N:P. Legacy of increase of N as expected has unbalanced the nutrient regime of Lake Taupo. decades ago. Imbalance of nutrient regime in lake. have been kept consistent over 23 yrs- allowing comparison over decades. water quality monitoring programme includes trace metals. and responsible for dissemination of research. combinations (pics & sample graph}. 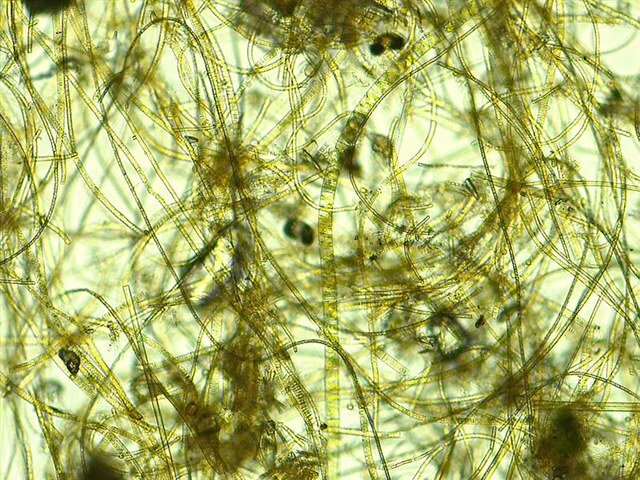 cynobacteria in Lake N limited. Q-Trace metals analysis-fluxes from tributaries receiving fert? Piet- measuring trace metals in Lake. trace metals plus phos and N. Composition of nutrients/minerals dictates species of algae. if these are N limited or not. Nick -1934 Dr Armstrong recorded visibility to 220 feet (70meters). Current – 65-70 (18-20 meters). 80 meter max – if true close to maximum. Don’t’ know of any deep lake with this level of visibility. but in Taupo – easily releasable. Q – Increased mixing will decrease risk? Piet – yes. Very expensive including maintenance (NIWA). Can see exchange of water from one end to other. Lakes typically seiche so would be good to measure effects of this. Giff Q – re; calcium locking phos – how does this compare with alum? Piet – yes similar process. anoxic although not all, or that quickly. No release with alum. & private donors. Analysis of temp measurements – shallow waters in bays warmer than deep lake. euphotic zone the more oligotrophic the Lake is. So yes could be indicator. Wishing you a Merry Christmas and all the best for 2018.